Creating custom formulations for patients of all ages, sizes and species. At Create, we believe that no two patients are truly the same. Our laboratory and compounding area is a nationwide benchmark for compounding pharmacies. If anyone can make it, it’s us! But don’t just take our word for it, come in and check it out for yourself. Our window into our lab allows you to watch your individual medication being prepared while you wait! Pharmacy compounding is much more than mixing medications into bases. Our pharmacists consider the physical and chemical properties of each medication that we use and formulate them into stable pharmaceutically elegant products. Many pharmacies that offer compounding usually require at least a 24-hour turnaround for prescriptions. Our pharmacy is different. We allow patients to wait and watch while their compound is being prepared, which is a truly unique experience. In the case that it can not be prepared immediately, we offer free same day or next delivery to your home! Many medications produced commercially today contain inactive ingredients that can cause sensitivities with some patients. These include Gluten, Corn, Soy, Dye or Lactose. Our compounding pharmacy can replicate many prescription products without these additives. Call us to find out if your medication can be compounded today. Do you or a loved one suffer from Dry Eye Disease or have a history of corneal erosions? Do you have a prescription for Autologous serum tears, or Platelet Rich Plasma (PRP) eye drops? Give us a call to discuss these therapies or to book an appointment. 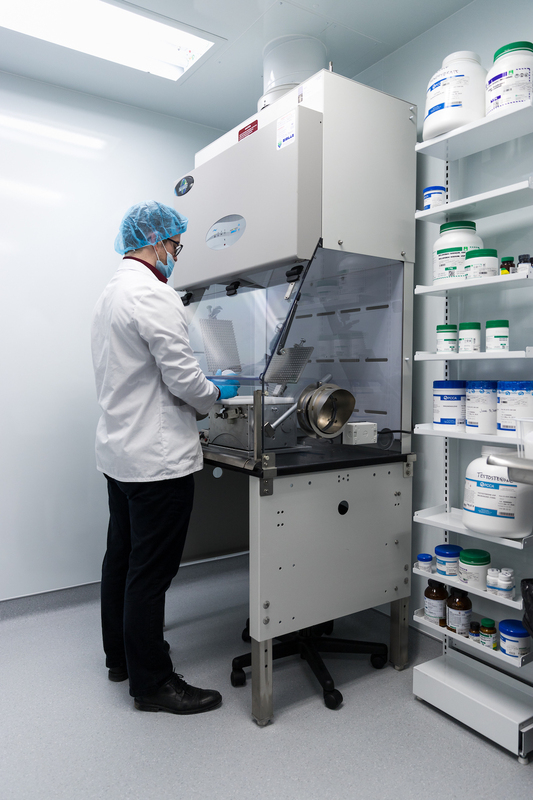 Our compounding lab is built to the highest standards set out in NAPRA & USP chapters 797 and 800. We offer compounded eye drops for a multitude of conditions including severe infections and dry eye disease. Sexual health is an important part of life. We compound specialized oral and injectable medications to treat erectile dysfunction and treatment resistant erectile dysfunction. Ask us about compounded medications such as Trimix, tadalafil and sildenafil. Please call or click here to book a confidential consultation with one of our friendly prescribing pharmacists. As we age, our natural hormone production decreases which can lead to an array of negative symptoms in both men and women. BHRT allows us to replace the depleted hormones with a bio-identical equivalent. This allows patients to experience the positive effects of hormone replacement while avoiding many of the negative ones. We compound prescriptions for estriol, estradiol, progesterone, DHEA, 7-keto DHEA, pregnenolone, and more. We also offer saliva and blood testing options. Please call or click here to book a consultation with one of our friendly pharmacists. Do you suffer from some or all of these symptoms? You may be suffering from a condition commonly referred to as Andropause. Give us a call to discuss your options with one of our friendly pharmacists. We offer commercial and compounded products such as HCG (Chorionic Gonadotropin), Testosterone, Anastrozole, Chrysin, Clomiphene and more. Are you gaining weight, or do you have low energy levels, fatigue, weakness and hair loss? You may have a thyroid condition. Our pharmacy works with prescribers to compound desiccated thyroid and specific T3 and T4 combinations to treat hypothyroidism. 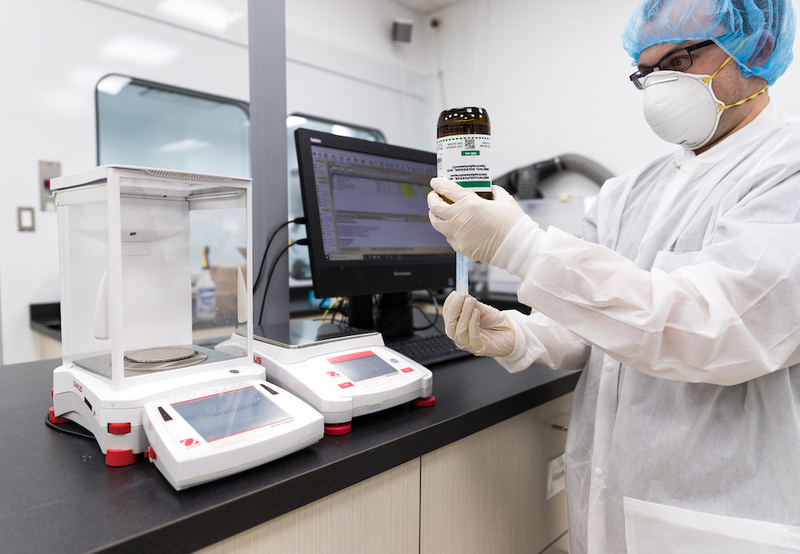 Did you know that our pharmacists are licensed to write requisitions for lab results if necessary?Our pharmacy compounds custom preparations containing T3, T4, desiccated thyroid and T3/T4 combinations. Please call or click here to book a consultation with one of our friendly pharmacists. Chronic pain is one of today’s most debilitating, prevalent and difficult to treat medical conditions. Our goal is to assist your rehabilitation, improve your daily function and alleviate unnecessary pain. Call to book a free consultation with one of our pharmacists. Do you have acute pain because of an injury? Please call or click here to book a consultation with one of our friendly pharmacists. We all want to raise happy and healthy children. Sometimes when our children are sick, there is no commercially available medication to treat their illness. Our pharmacy prepares specialty compounded medications for children We work with practitioners, children and their parents to design custom formulations that are palatable, high quality and safe for children. We can also customize the flavour for your child! In addition, we keep more commercially available pediatric pharmaceuticals than most other pharmacies! Here’s an example of some of the medications that we can compound into liquids: Omeprazole, Azathioprine, Hydroxyurea, Levetiracetam, Guanfacine, Clobazam, Vancomycin and many more! • Hyperpigmentation • Alopecia • Acne • Rosacea • Psoriasis • Lice & scabies • Nail fungus more! Our compounding lab produces several different high quality dental specific compounds such as Dyclonine anesthetic rinse and topical anesthetic gels. If you would like to order directly, please register at cliniccart.ca or call and ask to speak to a pharmacist. Have a patient with chronic xerostomia, high bleeding risk, mucositis or aphthous ulcers? We compound products such as: Akabutus mouthwash, magic mouthwash, local anesthetic gels, desensitizing agents, tranexamic acid rinse and more. Call us to discuss treatment options with a pharmacist. Do you or a patient have a wound that just won’t heal no matter what you’ve tried? We use revolutionary formulations to sterilize and promote growth of new tissue, healing resistant wounds. Please call or click here to book a consultation with one of our friendly pharmacists. Is the medication that you’re taking discontinued or on a temporary back order? Perhaps you’re a prescriber looking for a previously available medication? Talk to us about compounding a replacement. We can compound a range of unavailable and discontinued medications including: Disulfiram, Phenazopyridine, Nitazoxanide, LDN (low dose Naltrexone), Glycopyrrolate and more. Give us a call to find out about our products. The product needed for a patient is not available commercially. Example: Omeprazole paediatric suspension. The commercially available product contains inactive ingredients that the patient is sensitive to. The commercially available product is discontinued or on back-order. • Minimizing contamination by following strict cleaning protocols. Please call +1(403) 299-5808 to speak to a pharmacist about compounded medications.